In Need of Debt Collection Services in Melbourne? With An Expert Team On Your Side, You Can Keep Your Cash Flow Moving And Your Business Thriving. Nobody likes asking for money. However, you don’t want your business losing cash flow because of unreliable or unorganised clients with unpaid invoices or accounts. Save those awkward conversations and follow-up debt recovery calls – our team are specialists in creating solutions to resolve issues with late-paying businesses and individuals in Melbourne and beyond. Kearley Lewis are trusted debt recovery collectors that have been helping business clients across Australia since 1993. We offer personalised and professional debt collection services for large and small to medium sized businesses that get results while protecting your reputation and brand. Our timely work ethic and degree of professionalism as well as our connections with some of the area’s best debt recovery law firms makes us Melbourne’s first choice of debt collection agencies for businesses. For smaller businesses with limited resources and little experience in debt collection, we can initiate the process, mange the phone demands and send the relevant correspondence. For larger companies with internal credit and finance teams, we can escalate the collection of overdue accounts and send a message that invoices must be paid to terms, ensuring that our collection agency will assist you with a recovery solution as soon as possible. So, if overdue accounts are keeping you awake at night, or high volumes are dominating the time of your credit and finance teams, contact us today. Our team of experienced debt collection specialists make us one of the best business debt recovery agencies in Melbourne. Best debt collection agency Melbourne. From our offices in Melbourne & Brisbane, we can support you in national, state or localised offices. Membership packages offering ongoing access to commercial debt recovery services that reduce your costs. Proven 7-step recovery process to get money back into your business. 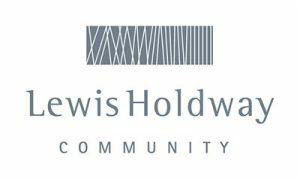 Reputable legal advice from our sister company and debt recovery law firm, Lewis Holdway Lawyers. Contact us today on our Head office number 03 9629 8777 to discuss how our debt collectors can assist your small or large business with professional commercial debt collection. Our team of experienced recovery specialists, connections with debt recovery law firms and passion for customer service, means you’ll receive only the best experience with our boutique debt collection agency.